*1:0 Cosmogony, or the study of the origin of the universe and how it came to be? The answer is simple, we don't know!, yet - but we have some ideas.The bottom line is that nobody knows, except Yahweh as he already existed in Genesis 1:1. Maybe the cosmos is infinitely finite, maybe multiverses make bubble universes, maybe clues are in M-theory, or from studying the quantum vacuum or gravity waves etc - again, nobody knows how it all started - full stop. However, God (the metaphor and) the anti-hero of this Genesis book was already around before he began creation, so ask "God" and hope he is real (and not just a metaphorical plot device, like he is in this updated more scientifically accurate Bible). 1:1 In the beginning nature created the cosmos, somehow. And the heavens were a celestial metaphor for God, And the Earth was without form, and void, (correct!). God knew the Earth was without form because all the 94 natural atoms that had to be forged were stuck in a tiny, hot, dense plasma. This plasma did exist and would cool enough, one day, to make the Earth, and darkness was upon the fabric of space-time and on the face of the deep. 1:2 The cosmos was smaller than an atom and God (still a metaphor) said "Let there be Light!". He was wrong, as the Big Bang, creation itself was more like darkness upon the face of the deep/space-time. Light can only be emitted when a plasma cools enough to make atomic nuclei, which can then emit photons or Light (sticking with Gods nomenclature) when electrons "jump orbits" and lose energy as a photon of light. Either way, God "saw" the dark plasma and it was good, but not as good as light, so he saved his slogan for later, under the advice of nature. 1:3 God called the light day, and the darkness he called Night. This was the first day, as God used the calender we use, not Planck times, or exponents, or the first minutes of the BB (using earth time) but a day and night. God still tried to make water before oxygen had formed though (even hydrogen was not there), so he could not divide the waters which he needed to do, in order to make a divide 'under' and 'above' separating his firmament.Which he called heaven, nature called it the night sky from Earth ~10 billion years from now. 1:4 Space-time was near infinite in energy, temperature and density.And the spirit of nature split the proposed super force into the four forces we know today, Gravity curved space itself, determining geometry, the silent, dark plasma of the Big Bang occurred 13.7 billion years ago. The other forces Electromagnetism (EMG) and the two nuclear forces would be important soon enough. This event called the BB created all the matter and energy we see today. 1:5 Before the spirit of nature AKA God could move upon the face of the water, the baby cosmos, space and the plasma of charged particles were extremely energetic. The cosmos itself appeared everywhere, the BB happened at a time, but happened at every single point in space, the universe was everywhere without a centre or centred at every point in space - all at once. 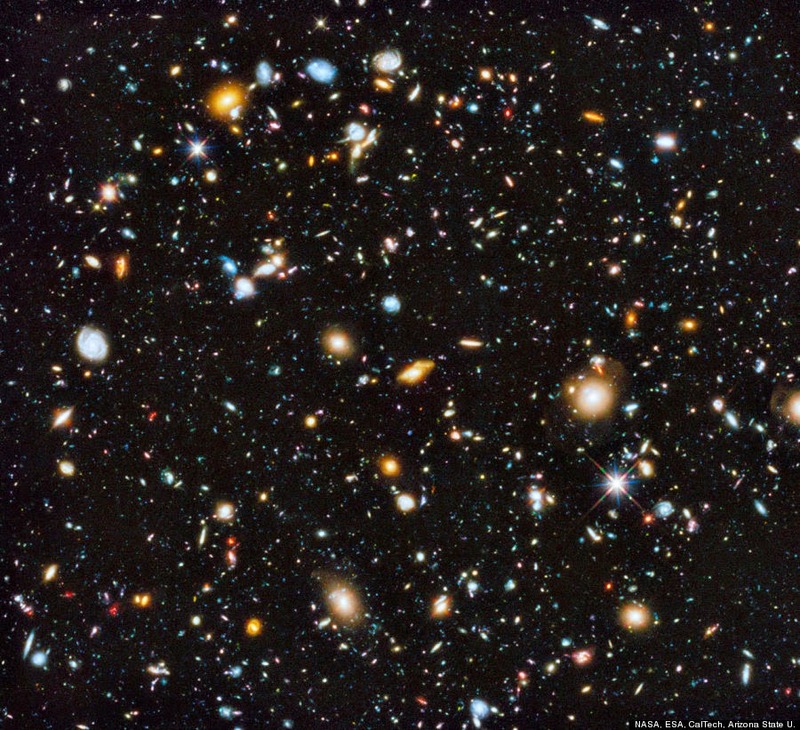 Quantum fluctuations in this early or Gods "first day" (figuratively speaking) would become the galaxies we see today. Antimatter annihilated with matter to make pure energy, there were slightly more matter particles than its anti-matter counter part and we are made of those unexplained extra bits. 1:6 God saw the cosmos but could not visualize it, like me, as the cosmos was everywhere but had nowhere as it's centre and was expanding into space/time itself, God called the firmament, heaven, on the second day, despite cosmology having no idea where heaven fits into the promising theoretical inflationary model. So nature gave God a break and let him learn from the cosmos. 1:7 The firmament being a simpler concept to imagine than the first few moments of the cosmos, which we are still working on and are closing in on it's origins, assuming it is not beyond our human imaginations. So God (still non-literal) waited on the face of the waters, (water molecules being impossible due to physical law needing hydrogen and oxygen to make water). All the same God was eager to make water, in order to separate the firmament, but had neither hydrogen nor oxygen, he was not a chemist but an author/deity, so his mistake can be understood. The magic in the mind and the magic in the mushroom. "Psilocin" is not a commonly heard word. I suspect that an even smaller fraction of people reading this will have any idea what "4-Hydroxy-Dimethyltryptamine" is either. The latter and the former quoted words are, in fact, the same chemical molecule just expressed in different ways. They are both identical and are the psychoactive ingredient of "magic" mushrooms or 'shrooms. I bet most people have the word 'magic mushrooms' stored in their vocabulary, this is not the same as psilocin or 4-HO-DMT, as it entails an edible mushroom on top of a non-toxic, powerfully transforming, psychedelic molecule. Why psilocin has subjectively so profound an effect on consciousness, is almost certainly due to its pharmacology. There is nothing magical about "magic mushrooms" in terms of how they produce their medicinal and psychoative effects, it appears to be an accident of organic chemistry - both in mushrooms and in our brains. The serendipity between our peronality modulating neurotransmitter serotonin and the active chemical in mushrooms is no less marvelous when understood, as I hope to illustrate - in fact it is perhaps more intriguing. A quick look at a single molecule of 4-Hydroxy DMT (Psilocin) contrasted next to a neurotransmitter molecule of 5-Hydroxy Tryptamine (Serotonin), shows much of what I intend to say about it's pharmacology and why it is so unique a psychoactive drug. Nothing gets this close to resembling Serotonin! 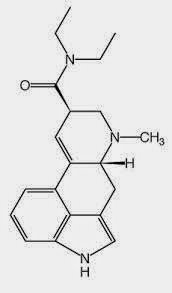 Natures closest analogue to serotonin is Psilocin. 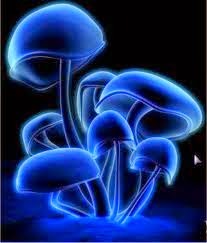 The "magic" found in psychedelic mushroom's is due to our shared chemical makeup, psilcin and serotonin are astonishingly similiar. The first half of the blood soaked 20th century had finally ended, with the conclusion arriving in the ghastly form of nuclear fission bomb detonations on the civilian polulations of Nagaski and Hiroshima. The unparelled devestation of World War II had finished. 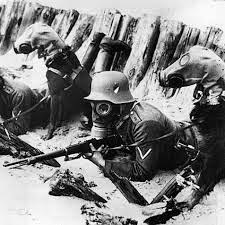 In it's closure WWII had earned two unique, unsurpassed and justifiably repulsive distinctions. The first observation of note, is the sickening new world record for the number of people killed during a war. 1939-1945 resulted in 50+ million deaths, their corpses left rotting across Europe, Africa and Asia. This dwarf's any of the deaths tallied up during our species curiously homicidal history of engaging in wars. 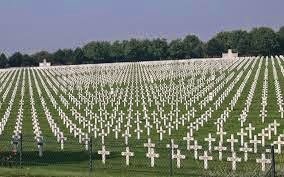 The previous World War, WW I, had less than 20 million people murdered and it did not have nuclear weapons. Predicatably in my view, the combatants were not too reluctant, but instead, often all too eager, to employ new chemical weapons, as well as the relatively new rapid fire, automatic, recoil machine gun - these are two technologies I will return to, for use in analogies for nuclear weapons, the latter will be in Part 4 (II). The former (chemical weapons) I will only breifly touch upon as it is a theme in my closing remarks on how to resolve or avoid nuclear war. World War II also eclipses any war that has since occured. That is if we are using the grisly yard-stick of number of people slaughtered. The next war that came close to WWII was the complicated wars in the Demoncratic Republic of the Congo, peaking in the late 1990's-2000's, whose dead are estimated at some 5 million - who know's if the Hutu's fleeing Rwanda into the Cogno, after commiting their serveral hundred thousand person genocide, would have hesitated to use fusion bombs - assuming they had access to them - I for one do not know. The fact that I do not know, is frankly alarming. The second unnerving distiction of World War II was that it was, and still is, the only war to go nuclear - it set the dangerous precedent that our species is actually capable of dropping nuclear weapons on civilian cities during a war. Needles to say this is a pathetic example of what we can do to one-another. It is offensive to both our common decency and to our shared humanity. It is a frightening lowpoint in human history, it tells us that we are capable of directly using nuclear weapons on eachother. We can only hope that the rule of "history repeating itself" will make an exception in the case of nuclear fusion weapons. The optimist and the pessimist both will reach plausible and different conclusions on whether fusion bombs will be the exception to, or another confirmamation of, this rule. Psychedelics we Have Known And Loved - Reflections on Shulgins Death and the Magic Six. We can begin to study the bizarre interaction that occurs when the human mind and the magic molecule that is mescaline meet. 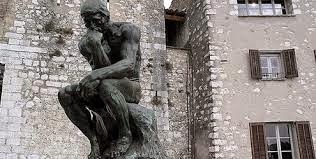 However the mind is an enormous puzzle, we do not know all it's secrets due to this complexity - yet it is this very complexity that enables us to solve the puzzle in the first place, call it an incidental paradox, or an ironic trait of being this sentient. But absurdity and oddity aside, this fact is true and one implication I find most profound is that a cosmic coincidence can evolve creatures that are a way for their brains to know about themselves...(to adapt a Sagan quote about the cosmos). 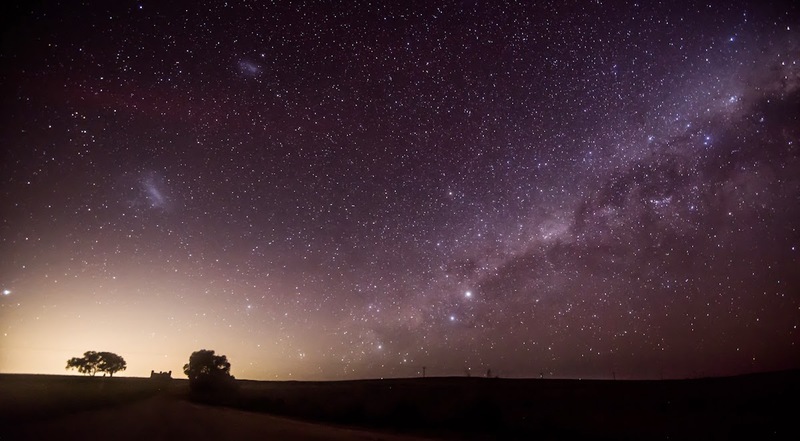 "We are a way for the cosmos to know itself..."
The only mystery that even comes close in enigmacy to conscious agents studying the very process that allows their conscioussness to be studied, is found in cosmology. 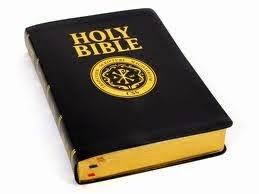 Questions such as "what" created the universe - pre- big bang issues?, "did "God" have a choice in creating the Universe"? - Einstein means by this quote: are there only one set of laws a universe can have or can unviverses exist in some other way, why something exists rather than nothing, whats inside a black hole, is the cosmos infinite, is the cosmos deterministic, etc - it is deterministic but the rest of the issues remain unsolved. "We are consciousness studying cosciousness itself..."
For me the mind or consciousness is equally enthralling and just as mysterious. Maybe we are not smart enough to answer the deep questions that our own minds ask, if we are to glimpse the answer we need science and tools, one of which is psychedelic drugs to unlock new states of consciousness and change old ways of thinking. I suspect that the illegality of psychedelic research post 1971 has wasted decades of time that could be spent getting to know "ourselves" or our minds. As of now you can get a Phd in psychedelic science, so this is encouraging to reflect upon. If we are to open our minds and get the answers to old and new questions about the mind - and knowing that psychedelics can, have, and do help, then we need to know more than their chemical composition. A CLEAR PATH TO THE MIND IS FOUND. Astonishly 65 years ago, serotonin - the "main" neurochemical and the psychedelic receptor site mescaline activates - was ironically not known to have anything to do with consciouness. Serotonin was not known or even hypothesized to exist in the brain at all. In the 1940's to 1950's, we were ignorant of serotonin's importance in neurochemistry; mood, behaviour, thoughts etc. Until one day a revealing twist of fate put the human mind and psychedlic science together on it's current trajectory. Serotonin was theorized as a brain chemical directly as a result of the discovery of LSD - LSD effected consciounsness, this was known since 1943, the year Hoffman invented it. LSD, people noticed in the 1950's, not just effected the mind but very curiously has a serotonin molecule imbedded in it's overall molecular structure. This led to a hypothesis that serotonin, which was discovered to exist in animals, but not in the brain, may actually be a neuro-chemical influencing mood and mind. This is indeed correct. So, LSD led to the discovery of the brain neurotransmitter we call serotonin in the 1950's. Psychedelic brain science was here - and was harvesting enormous yeilds of scientific findings until it was banned globally in 1971, during the unscientific war on drugs. So, we can, quite literally, understand the brain better by understanding psychoactives. For a mystery as difficult as the mind we need an illusive molecule to aid our understanding, this is where psychedelics, the magic 6 and mescaline come into our story. First we need to ask some questions about mescaline, then we can try to solve the puzzling questions of mind and mescaline using modern science. To learn about the power of mescaline we need qualitative and quantitative, it is hard to define something that is profound (except to say it is profound). We will need many fields of science to aid us in why mescaline is a "magic" molecule, we will use psychology, chemistry, pharmacology, medicine, psychopharmacology, neuroscience, philosophy and psychonautics to name a few. Mescaline, as we will see, is special in many ways and is special for many reasons. Mescaline can help us relate to ourselves and others. It can help solve the most existential questions humans can ask - and maybe help find the missing peices to the puzzles that the cosmos and the mind can throw at us. The benzene ring and what makes mescaline a molecule. of the top right position. The difference between a phenethylamine and mescaline is three simple molecules, that's it. The hexagon shaped benzene ring on the diagram to the right, represents 6 carbon atoms and is the centre of the mescaline molecule. The diagramatic benzene ring shown on the left of the page is also a benzene ring - but not part of any larger molecule. The left diagram also labels the carbon and hydrogen atoms. This is not needed as wherever a line ends, or wherever a line meets another line in the diagram, it represents a carbon atom. This is true of the mescaline diagram and any 2D molecular diagram. Carbon is always bonded to the needy, exigent hydrogen atom. Hydrogen is always trying to partner up it's lonely, single electron with one of carbons four free electrons. Each carbon atom is labelled positions 1-6. Think of the benzene ring as a clock with 6 hours. Each hour representing the 6 carbon atoms. Now using the mescaline diagram, hour 1 is where the ethyl chain or up-down-up line is bonded to the hexagon ring. An ethyl group/chain is just two carbon atoms bonded together, hydrogen again promiscuously filling the other free bonds. These ethyl carbons are called alpha and beta, but the benzene ring is where the mescaline molecule does it's psychedelic magic and is also the only place where the other 5 magic phenethylamines differ from eachother. Back to the benzene ring in the mescaline molecule to the right. Working anti-clockwise from hour/position 1 you get hours 2-6. 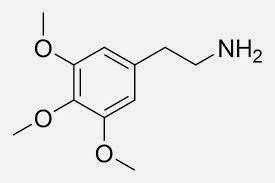 Mescaline AKA 3,4,5, trimethoxyphenethylamine is potentially incomprehensible if we just read the chemical name. Nevertheless it can be understood using the picture to the right, and the clock analogy. The 3,4,5 represent hours or carbon positions 3,4 and 5 on our clock. These numbers tell us exactly which carbon positions/atoms, on the benzene ring, a molecule has been added - positions 3,4 and 5 as the chemical name alludes to have something other than hydrogen attached. The molecule located at these positions is found in the chemical name too. The "trimethoxy" that follows the numbers in the chemical name is literally the molecule that is to be found at positions 3,4 and 5. Moreover it tells us how many of these molecules are to be found on the benzene ring. The "Tri" simply means 3. So there are 3 "methoxy" molecules at our clock/carbon positions. A methoxy molecule is very simple. It is an oxygen atom, bonded to a carbon atom - as usual hydrogen atoms fill the rest of the free electrons in the outer shells. On the diagram to the right oxygen is labelled as O. Carbon is not labelled but is represented as "points" or intersections or bonds on the diagram - and hydrogen being so ubiqitous, is not labelled, but is assumed to be there, unless specified otherwise. So there are three methoxy molecules at hours 3,4 and 5 - easy. This is the only difference between phenthylamine and what Shulgin might call a profoundly rich psychedelic drug - Mescaline. Mescaline is in his magic 6. The 6 most important or valuable psychedelics he thought our species had at it's disposal. I tend to agree with him. Now we have the basic chemistry down we can begin examining the interaction between the brain and the mescaline molecule or molecules - plural. This raises many intruiging questions, such as why or how mescaline produces a psychedelic effect. How is it "better" than other psychedelics that look almost the same? By what mechanism is this accomplished and how does it acheive this effect and not some other? The brain did not evolve to be manipulated into the fascinating service of mescaline molecules, yet it can be and we are finally over the line between hypothesis and theory. We know many, but not all of mescalines secrets. Mescaline may always be a little enigmatic. We know the basics of why a molecule can do so much, it is not the molecule it is the molecule and it's connection with serotonin as we will see. We will eventually see why Shulgin and many others thought so highly of such a humble compound. The Basic Structure of the Magic Half Dozen: The Phenethylamine. 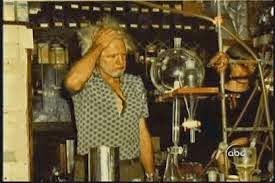 Shulgin's "Magical Half Dozen" were created - literally invented - by Sasha in his backyard laboratory in California. 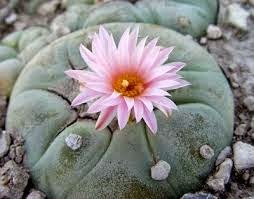 All 6, except the molecule mescaline, which occurs naturally in several species of Cacti, were hand crafted by the Einstein or Armstrong of Psychonautics. This chapter will cover the basic structuce behind all of these psychedelic molecule's. All of Shulgin's Magic 6 are molecules called phenethylamines. I will explain what a phenethylamnie is and provide some basic facts which in later chapters will be useful for understanding why phenethylamines are psychoactive and psychedelic.This reflection will begin to cover the fascinating compound that is Mescaline, but there will be follow up chapters that go deeper into the subjective effects of mescaline and Shulgin's deep facination with this powerful molecule. To begin, here is the 6 phenethylamines that Shugin found were the most important or noteworthy for our species. These are the 6 he chose from the 150+ he created and the 200+ he examined experientially. These 6 are the compounds we will examine in detail in this series. By doing so, we will learn what these molecules are, how they work their "magic" in the brain, and why they are important at all. The Magic 6 psychedelics all acheive psychoactivity because they exploit the brains naturally occuring neuro-synaptic receptors. The Magic 6 virtually all work by targeting specific serotonin sites. Serotonin is one of the most interesting and one of the most indispensible neurotransmitter's in our brains - it is here that these molecules do their mysterious work, an enigmatic lock we are slowly building the keys to unlock. To understand what Mescaline is, on a molecular and structural level, you need to know a few basic things. Compreheding the structure of a compound is important as one can then compare it to the serotonin molecule, which is where most psychedelic activity takes place - serotonin 2a to be exact. Furthermore, it is then easier to deal with the harder problem of why, or rather how, mescaline targets certain serotonin receptor sites and not others. 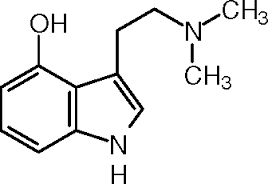 Mescaline (3,4,5-trimethoxyphenethylamine) is a Phenethylamine, as the end-half of the chemical name suggests. The 2D molecule to the right, is the basic construction that all phenethylamines share. The hexagon to the left of this molecule is called a Benzene Ring. 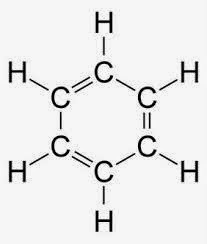 A benzene ring is 6 Carbon atoms double bonded to one another and each bonded to 2 Hydrogen atoms. The lines inside the hexagon represent carbon atoms. double bonded to other carbon atoms. Carbon has four electrons in it's outer shell and thus wants four chemical bonds to complete this outer shell, this makes the molecule stable and happy. Carbon is the base atom for all organic chemistry and for all of organic life - including your brain's neurotransmitters. PHENETHYLAMINE IN A SIMPLER DIAGRAM. OFTEN DIAGRAMS WILL SAY "N H 2"
THE BONDS FROM "N" TO "H"
The up-down-up line attached to the benzene ring, in the middle of the molecule to the right, represents a 2 Carbon chain. This is called an ethyl molecule and it represents the ethyl in phen'ethyl'amine. Each is bonded to Hydrogen and each is bonded to one-another. Except the last atom which is bonded to Nitrogen as the picture to the right illistrates. 4 bonds completes the outer electron shell for each carbon atom and thereby making it 'happy'. Hydrogen is not usually named or labelled on 2D molecule diagrams, such as in the one on the right. If it's blank or unlabelled it's a hydrogen atom. Carbon is often represented with just a join or bond on the diagram, rather than the letter C - unless there is another letter saying otherwise such as N or O, then it's carbon bonded to hydrogen. This simplifies the pictures as labelling all the carbon and hydrogen atoms quickly makes the diagram's tedious to draw or read. Also it makes it messy, especially with large molecules with dozens of hydrogen atoms. The simplified version represents exactly the same molecule, only in a neat and conscise fashion. This leaves 5 'free' carbon positions on the benzene ring (the carbon attached to the up-down-up line or ethyl group is used), and 2 carbon atoms on the up-down-up line where atoms or molecules can be added are also free giving 7 total. As it turns out this is exactly what Shulgin did with these 7 'free' carbon positions. Some positions are better than others to attach new molecules or atoms to, something Shulgin learned from trial and error. Knowing where to put what atom(s) means you have a greater chance at making a novel drug which you can then evaluate for any psychoactivity - the hope or aim is to create a profoundly new psychedelic, such as Mescaline or 2C-B. Basically Shulgin would remove the hydrogen atom stuck to the carbon atoms and replace it with another atom, or a group of atoms; a molecule. By doing this one can add atoms or molecules which are of more intrigue, such as Bromine, Ethyl, Carbon or Oxygen etc. Shulgin was so proficient at this process, after decades of doing the laborious but rewarding procedure, that he developed a methodology of 'knowing' where to put what atom to acheive a more promising end compound. Sasha more or less "knew" where to add what atom(s), to get plausibly psychoactive molecules. Furthermore he could make good predictions about what the approximate psychactive effectes of the new creation may be. Most combinations are not active, or are not very interesting to the Psychonaut, but practice as Shulgin demonstrated more than anyone else, makes one significantly more proficient if not quite perfect. Finally the N, to the far left of the molecule (on the right of the page), is a Nitrogen atom bonded to hydrogen atoms and one carbon atom. This part is called the amine and represents the amine in phenethyl'amine'. The amine is connected to the benzene ring via the ethyl or 2 carbon chain. The 2 carbon chain incidentally is why Shulgin named 2C-B with a 2 at the front - the 2 represented the 2 carbon atoms. This is the simplified, but accurate for our purposes, molecular structure of all the magic 6 phenethylamines. Shulgin created over 150 novel psychedleic molecules by following this process of attaching interesting atoms or combinations of atoms to the 'free' carbon atoms on the phenethylamine. This is all we need to know about the basic strucutre of the organic molecule called the phenethylamine. This molecule is the building block of many of the brains neurotransmitters, notably Dopamine and Adrenaline, called the Catecholamines. It also bears a striking resemblance to the neurotransmitter Serotonin. Serotonin is where Mescaline produces it's unique and often profound effects. 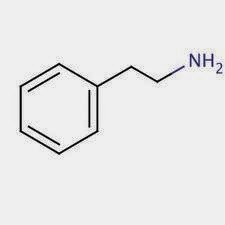 The phenethylamine is also the base molecule of many illegal drugs, not just psychedelics but central nervous system stimulants, such as Methamphetamine and empathic/entactogens drugs, such as MDMA. Just because these drugs are phenethylamines does not mean they are psychedlic, a psychedelic has special charateristics that must be met to be called a psychedleic. All of Shulgins magic half dozen psychedelics are phenethylamines and are true psychedlics - meaning they activate specific serotonin receptors in the human brain. Below is a diagramatic comparison of mescaline, phenethylamine and the neurotransmitter serotonin. Notice the basic structure of all is largely the same. Mescaline has three identical molecule's attached to the right hand side (benzene ring positions 3,4,5) in the diagram below, this is the only difference between it and a basic phenethylamine. We will discuss the structure of Mescaline further, but in the next chapter on Mescaline we will examine it's qualitative, experiential side - what happens when you take the drug and is it really better than over 150 other psychedelic phenethylamines? We will also examine why Sasha Shulgin was so fascinated and captivated by this molecule. His first dose of Mescaline began his career in psychopharmacology after all. In the following chapters we will discuss my experiences with Mescaline. I will try and contrast these with Shulgin's reports. I agree with Shulgin regarding the addition of Mecaline to the Magic 6 list. There are literally thousands of psychedelic drugs, deciding which one's are the most important for humanity is difficult - and thats putting it mildly. It is subjective by it's very nature, but there must be a reason why the Godfather of jourying into the mind AKA Psychonautics, found mescaline more than compelling. MESCALINE, SEROTONIN, PHENETHYLAMINE MOLECULES (2D). Notice the similarities in the molecules. For example mescaline and serotonin share similiarities and this is a reasonable indication of what kind of psychaoctive effects mescaline might produce. So if it is similiar to serotonin it is plausibly a psychedelic, but not always. Mescaline is a phenethylamine with three methoxy molecules bonded to 3 carbon positions on the left of the phenethylamine. These positions are called 3,4 and 5. Think of the benzene ring (the hexagon) as a clock. The positions where the carbon atoms are located are called 1,2,3,4,5 and 6. Position 1 is carbon attached to the up-down-up line (the ethyl molecule), and working anti-clockwise you count through positions 2,3,4,5 and 6, which is below the up-down line. Dont worry I will walk us all through the basic chemcial structure of Mescaline and Serotonin in coming chapters for anyone who is confused. Just observe their similarities and differences. ;) This is one key to PwKHAL. PwHKAL- Reflections on Shulgin's Death. Part 2. The Magical Half Dozen: My Review. Introduction. My Magic Six: (Inventor/Isolated from nature). There are two great puzzles that are inherently illusive and tower above all others in my view. The first is the Universe itself, which is inherently mysterious. The second is Consciousness - matter becoming aware of itself. When Carl Sagan was writing the novel Cosmos, he penned some words that are often quoted. The quote is profound as it ties the two puzzles I mentioned above together - and resonates deeply with me, and I suspect with all sentient creatures: "We are a way for the Cosmos to know Itself". It is true after all - we are atoms configured in such a remarkable way, that a collection of atoms are aware of "their" own existence and aware of the wider cosmos. Truly an astonishing observation, a revelation for all humanity. Additionally to this we have finally learned how to manufacture, even hand craft - as an artist sculpts a great work of art - the chemical keys to unlock the chemical synaptic locks of the mind itself. There are even names for people who explore the cosmos and names for people who explore human consciousness. They are the Astronaut and the Psychonaut. What is a Psychonaut? Well, the answer is in the word, but I will elucidate the concept and etymology for us anyhow. Psyche is Greek for Mind and Nautes is Greek for Sailor. 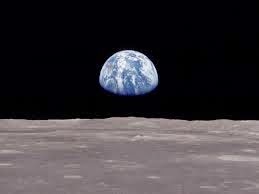 Just as Astronauts sail the celestial cosmic ocean. The Psychonauts voyage is into the human mind. This journey is into that other great mystery, the enigma of human consciousness. Perhaps no single man has journeyed further or unraveled more about the mind than Sasha Shulgin, he is the Neil Armstrong of Psychonautics. Sasha Shulgin's passing has not made me as melancholic as I had predicted it would. In fact, it has motivated me to celebrate his life, rather than mourn the sadness associated with losing psychoactive chemistry's greatest mind. A mind so great that in my view he was deserving of a Nobel prize, but due to the legality of his work, this was made impossible - and is now just another pathetic side-note to the tragedy that is the War on Drugs. I will do a six part series where I examine Sasha's "Magical Half Dozen" each and in detail. Having personally tried four of the six compounds on the list I want to see why he chose these, out of over 150 he created (all except DOB and 2C-T-2 I have experience with, analogous of DOB and 2C-T-2 I have tried). Furthermore I want to shed light on why none of the six were chosen from the large inventory of natural and other man-made psychedelics available to him, he tried most of these but did not invent them or include them in his list? (excluding Mescaline which nature beat Sasha to, by inventing first :). What was it that Sasha found so intriguing about these six molecules, this is what I will attempt to explain, why did he find them so special and worthy of special notation. More than this I will try to learn and teach what psychedelics are and why many users report them to have profound effects. Myself being no exception to this rule, psychedelics have forever changed my life - this essentially means that Sasha, and his creations, have forever influenced my destiny. Almost unanimously for the better. My personal "half dozen" contrasted with Sasha's has some overlap but is different, this is not surprising as everybody is unique. I am trying to piece together the puzzle of why he, the greatest psychoanaut of all time, added the compounds he did to this list. I want to know the story behind why Sasha spent his entire adult life pursuing the Psychedelic equivalent of the Apollo Moon Mission. He did it virtually all by himself and achieved what most chemists can only dream of accomplishing. He wrote the books (literally: PiKHAL/TiKHL) on how to be a psychonaut and how to be a responsible one. The doors of perception were opened more by no other person in history, and I intend to share my understanding with you about what lies beyond the doors of perception and inside the realm of consciousness. Part 3:1 - Mescaline (coming next). PwKHAL - Reflections On Shulgin's Death. Part 1. PwKHAL - Psychedelics We Have Known And Loved. “The most compelling insight of that day was that this awesome recall had been brought about by a fraction of a gram of a white solid, but that in no way whatsoever could it be argued that these memories had been contained within the white solid. Everything I had recognized came from the depths of my memory and my psyche. I understood that our entire universe is contained in the mind and the spirit. We may choose not to find access to it, we may even deny its existence, but it is indeed there inside us, and there are chemicals that can catalyze its availability.” Shulgin. The Worlds Greatest Psycho-Pharmacologist and Organic Chemist Passed Away on June 2, 2014, aged 88 years, or 2000 Psycho-Nautical Years. For those of you who are unaware, or unenlightened about Sasha Shulgin, you are almost certainly familiar with his substantial societal impact. 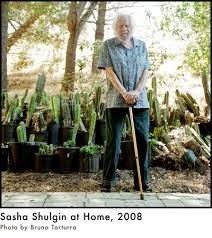 Sasha Shulgin single-handedly invented well over 200 unique psychedelic and empathogenic/entactogenic psychoactive molecules. Virtually all of these new compounds do not exist in nature. His resume of inventions and accreditation's is lengthy, and includes, but is not limited to; 2C-B, 2C-E, 2C-I, 2C-T-7 and the 2C-x family in general. 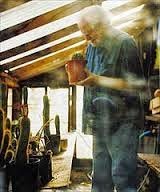 He also is credited with the creation of the DOx family of psychedelics, which includes novel compounds such as DOI, DOB and DOC. His most well known contribution to the field of psycho-pharmacology - and the contribution everyone should have heard of - is the re-discovery and recommendation of the use of MDMA as a psychiatric medicine in the 1970's. Sasha began his epic journey, which ended with him being awarded the justified label of "the godfather of psychedelics", as a talented organic chemist, studying at Harvard on a scholarship at age 16. When WWII began his study was put on hold while he joined the navy, serving in the Pacific theater of war. After the conclusion of WWII he received his doctorate in Biochemistry from the University of Berkeley, California in 1954. In 1954 psychedelic drugs were largely unknown and the general population was not familiar with their existence, let alone their profound effects on the mind. It was around this time that Shulgin first took a psychedelic drug: Mescaline. This experience was so profound that it would not only shape his own destiny but change the future of psychedelic's forever. Mescaline was the very first psychedelic to be chemically isolated from it's natural biological source, by the German chemist Arthur Heffter in 1897. 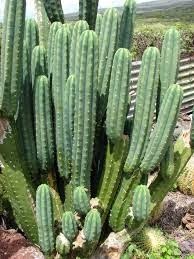 Mescaline is found in several species of Cacti, including the Peyote and San Pedro. Between 1897 and 1950 only a few other psychedelics had been invented or isolated from their organic origins. The next psychedelic to be chemically synthesized was DMT, which was isolated in the 1930's, making it the second psychedelic compound to be separated from it's original biological source. DMT is ubiquitous in nature, being found in several plant species such as the Acacia and Psychotria Viridis species. DMT also has the unique characteristic of being the only known psychedelic to naturally occur in the brains of animals as a neurotransmitter. DMT is a schedule 1 drug and is manufactured in the brains of humans. So technically anyone charged with synthesizing DMT is arguably just as guilty as the court judge and court jury are. This in just another irony in the War on Drugs, a war with no short supply of the tragically ironic. Most famous, or most notorious, of all, was the discovery of LSD, or Lysergic Acid Diethylamide, in 1943 by the Swiss chemist Albert Hofmann. LSD was a noteworthy and incredible breakthrough as it was the first psychedelic molecule to be created synthetically. LSD does not occur in nature, it is entirely man-made. LSD is manufactured using the ergot fungus as a precursor. Hofmann tested LSD on himself, later calling it his problem child in his book of the same name. Hofmann did not rest on the laurel of making the most prolific, synthetic psychedelic in modern history. He did more research into psychedelia by investigating the active ingredient in psychedelic mushrooms, of the Psilocybe species. Isolating Psilocybin, a pro-drug, for the active molecule Psilocin, which he also separated from the psychedelic mushroom. He then went on to create a new, synthetic and novel compound unknown in nature, 4-AcO-DET. 4-AcO-DET is an analogue of psilocin which has similar effects but subtle experiential differences in it's qualitative effect. Hofmann is rightly regarded as the grandfather of modern psychedelics - arguably only matched, or surpassed by Alexander Shulgin in societal impact and fame. After Shulgin's late 1950's mescaline experience directed his career path into a lifelong pursuit of studying and synthesizing psychedelics. The stage was set for his legendary next several decades of research. In Part 2 Shulgin will reach his full potential and as Aldous Huxley puts it, he will open the "doors of perception" more than any one else in history. "The Earth is a lovely place and more or less a placid place. Things change but slowly. We can lead a full life and personally never encounter a natural disaster more violent than a storm. And so we become complacent, relaxed, unconcerned. But in the history of nature the record is clear...even we humans have the dubious technical distinction of being able to make our own disasters, both intentional and inadvertent." - C. Sagan. Fusion nuclear weapons, which have proliferated to several countries after their invention in the early 1950's are a serious danger to life on Earth. To ignore the obvious is to deny reality. One of the many sobering facts about nuclear weapons is that they not only do fall into the possession of despotic, unstable, unpredictable regimes - but even nukes under the authority of more stable nations, are arguably, still an accident in the making. The clown must only slip on the banana peel once to bring about unprecedented horror and annihilation - annihilation precisely translated means: "literally to make it nothing". A psychotic, eschatological or nihilistic regime is one possibility. Another is a country loosing a war and seeing no option but to launch the nukes in a final act of narcissistic defiance. Third is an unbalanced nuclear equipped nation, overthrown in a coup that ends in nuclear holocaust, or in a preemptive counter strike from the neighbouring country, fearing a nuclear attack - The fact is that there are a myriad of potential and real scenarios that need only occur once to bring about the end of times on Earth. One needs not list all the possible dangers, as it would fill many volumes and I intend to be somewhat brief and to the point. A few examples hopefully will shine sufficient light on the threat to show that nuclear weapons are like hydrogen zeppelins, they suffer from the "Hydenberg" problem. Reason and evidence should prevent such disasters, but they all too frequently do not, and instead result in catastrophes. When World War II came to its grisly nuclear conclusion in August 1945. Europe was immediately being carved up by the victors - a common and almost banal tradition in military history. Western Europe installed democratic systems, such as in France, Italy, Scandinavia, Austria, Hungary and West Germany and West Berlin. Japan was also forced to adopt a less militaristic society, ending their pugnacious and belligerent Empire of the Sun. Under the deal struck between Churchill, Roosevelt and Stalin in the final years of the war, Eastern Europe was to be split into the "Eastern Block" or what Churchill later christened the Iron Curtain. Dictatorial, semi, to near-actual communist regimes were instated in the areas the USSR had annexed from the retreating German Wehrmacht in 1944-45, such as Belarus, Czechoslovakia, the Baltic and the Balkans to name a few regions. Poland, in another tragically ironic turn of history, was not only left in the lurch by the Allies, but was also further abused by Stalin. Both Stalin and Hitler, after signing the Ribbentrop-Molotov Pact, agreed to invade and occupy, then split between them all of Poland. The cynical irony is further compounded when one notes that Britain declared war on Germany because Poland was invaded, Stalin avoided war with Britain despite having fingerprints and troops all over the crime scene. The paradox of the Soviet/Nazi Polish invasion of 1939, which triggered the war, ended up with Poland being ruled by the autocratic Stalin just as was the case in 1939. As if this was not enough, the eastern half of Poland that Stalin annexed in the initial dual Nazi/Soviet invasion, became a permanent part of the USSR - until the Soviet implosion in 1991. Churchill clearly should feel some shame for this overt betrayal of Polish sovereignty. After World War II finished and had earned the warranted and contemptible trait of having the most human extirpations in history, only one country had access to fission uranium and plutonium weapons - the USA. Two things are worthy of notation in the history of weaponry, which also apply to nuclear weapons in my view. Weapons proliferate and do so almost as a rule, and if they are effective they get increasingly more sophisticated in their destructive capacity. The first cannons of China and the Middle-East did not stay in these few locales for long, by the 14th century they were improved and customary in most arsenals in Europe. The musket became the rifle and replaced the arrow or crossbow bolt, the rifle then became bored (to increase accuracy), the rifle then was breach loaded, then it acquired bolt action potential and multi-shot capacity, then magazine fed ammunition, culminating in fully automatic assault rifles - which are now the main infantry weapons on the battlefields. The assault rifle originated as the SturmGewehr (Storm/Assault Rifle) and is another invention of war time Nazi Germany. It is an unsettling fact, but nonetheless true, that war often drives invention and innovation; jet aeroplanes that now fly us faster across continents and ballistic V2 rockets which led to the Moon landings are two great examples of war technology being converted into actual useful inventions. A third example, especially relevant here, is nuclear fission. The atomic bomb, also led to the nuclear reactor and breakthroughs in physics. Optimism aside, the same progression of increased lethality is observable in most weapons from grenades, land mines, bombs, ships, tanks and planes. They all get better at killing and they all get more ubiquitous in number or destructive capacity. Why would one think nuclear weapons will be an exception to these unambiguous and prophetic rules in the history of war? It turns out that nuclear weapons are no exception, in actuality they only prove the rule: weapons proliferate and get more deadly. By 1949 the growing superpower of Stalin's dictatorship had produced their own Atomic bomb, despite the fact that the USA would not assist the despotic regime in acquiring the awesome new power of nuclear fission. Four years after the world war had reached it's bloody conclusion and the dead had just been counted - reaching a gruesome figure of some fifty million casualties or more. The USA and now the nuclear equipped USSR both were capable of repeating the atrocities of Nagasaki or Hiroshima. It could, and has, been argued that nuclear weapons are so dangerous that owning them avoids another major World War. Now that the USSR and the USA both have nukes. A war between the two irreconcilable political systems would appear to have only one actual conclusion, a dualistic and reciprocal murder/suicide - or Mutually Assured Destruction as it is commonly referred to - or it's comically apt and allusive acronymic form: M.A.D. The idea that nukes can avoid large scale wars is supported by the fact that the half century long Cold War between the USSR and the USA did not result in any direct conflicts and there were no Russians or Americans killing each other en masse. Mutual Assured Destruction did avoid the only two super powers engaging in a direct conflict, nukes did avoid another "Axis vs the Allies" disaster. Due to the two competing ideologies of capitalism and communism though, there were a great many proxy wars, where the USSR backed a semi to near-communist regime and the USA backed a more democratic one. torture; both literally and in the sense that "survival" is actually a slow torture from the cradle to the expected early grave ("survival" is more appropriate than "living" when describing 'life' north of the 38th parallel). This is a strong argument against nuclear proliferation that should be proof of itself. N. Korea is a lesson and an example of what can happen when nukes are added to a totalitarian regime. There are other nations that are similar to the DPRK, in their limitless depravity, total authority and in the extent of their tyranny - but thankfully most do not have a centrifuge to enrich radioactive elements - yet. North Korea was tenderly gifted a centrifuge by the USSR. The only silver lining here is that they have not yet built a fusion bomb. For now they are still stuck with the equivalent of US or USSR 1940's fission technology. The DPRK is a lesson in what to avoid in the future - and prevent at perhaps any cost, with the exception of the nuclear price tag. The USSR spread communism with success into China, North Vietnam, Cambodia, Laos and exported it to Cuba all of which resulted in wars. The USA had a policy of stopping the apparent "domino" effect of communism. With each mighty superpower arming, training, assisting and funding opposite sides in battle, but never directly engaging one-another in the wars, meant the net effect of these so-called proxy wars was not too surprising - but a tragedy all the same. The human cost in terms of brutality, mayhem, murder, destruction and countless other atrocities, caused by these superpower sponsored proxy wars is terrible to contemplate, even worse to calculate. These proxy wars were driven by the incompatible nature of the USSR and the US and went on for decades. Culminating in the predictable and unsurprising murder of millions of people and the usual mass destruction, genocides, and other abominations of war too numerous or too despicable to describe. War is hell after all, at least these were not nuclear M.A.D worked but at what price? The fact remains that nukes did avoid World War III, but one must account for the proxy wars that were fought as a result of MAD and a difference in ideology. The Cold War has much to teach us still though. By the 1950's the fantastical monster, the mother of all nuclear reactions was discovered or unleashed on us forever, into our fragile human hands and superstitious, naive minds: Nuclear Fusion was here! As with the invention of any new weapon it is a truism that it, like any new toy in an arsenal, it will be used. This follows axiomatically, to not use it would be the exception to the rule; all of the weapons in history follow this rule. This rule is now much more risky to obey though, as a stone spearpoint or a rifle, is not the same as a fusion bomb. The rule of using a newly made weapon becomes abusing it at a certain point. I think that point has now been breached, the observation that a single bomb can make all the other weapons on Earth combined seem not only primitive or near redundant, but in contrasting the two one may conclude that one bomb beats all the navies, armies and aircraft on Earth. The reason this is true is due to what a fusion bomb does. Unlike nuclear fission, powerful as it is, it pales in comparison to this new fusion device. Clever people made it, but perhaps they were not so wise when they decided to improve on nuclear weaponry, this is casuistry defined. Nuclear fission releases energy by the splitting of one unstable atom into two, fusion bombs work using two lighter atoms, and after a fission reaction to kick the fusion process off, fuse the two lighter atoms into one atom with more mass, releasing enormously more energy. Fusion is the same process that powers the Sun and other Stars. Now we are literally playing with fire, but of unimaginable heat. If we do not act like adults and harness this potential limitless source of energy, we lose this gift. By behaving like children we become evidence in support of the proverb: children playing with fire will get their hands burnt - playing with fire is not for a species whom virtually all agree that the supernatural is a real thing. This is a genuinely frightening twist in the history of humans and nuclear weapons. Are we mature enough, as a whole, to overcome our primitive innate urges toward barbarism and willful ignorance, if this is not true then why are there still nukes? Nuclear technology and the observable, demonstrable, repeatable human tendencies of barbaric and violent behaviour our species is prone to cannot be stressed enough. This combination is to be avoided at all costs, apes with the power of the sun is not a cocktail one should ever mix, the drink is poison unless we show that Einstein was not right when he noted "The unleashed power of the atom has changed everything save our modes of thinking, and thus we drift toward unparalleled catastrophe". Our thinking must change if we are to co-exist with nuclear weapons, a saner or wiser species would avoid making them - yet we have thousands. If some healthy modifications are not made toward the way we collectively think, then we invented a weapon that eventually will play out the ending to Dr. Strangelove, only without the cameras rolling and I suspect nobody will be entertained. Thanks - Part Four coming soon.